This Memorial day holiday weekend I saw lot of LOBSTER looking girls,guys and unfortunately kids. Here are some quick skin fixes for sunburn. Keep an aloe plant in your kitchen.It offers a quick and soothing rescue for your skin. I also like to fill a tray with aloe ver gel and freeze. Take an ice cube and warm in your hand a few seconds,roll gently on the skin where you have a burn or skin irritation.Or you can try Lily of the Desert aloe vera recovery gelly and apply. Both have anti-inflammatory effects and sooth the skin too.Similasan Burn recovery is also another soothing choice. Found at Whole Foods market. Alba Botanica Burn relief spray or try a cooling bath in oatmeal flakes. Aura Cacia has an awesome soothing chamomile and oats body soak.Relieves itching,burning feel and the not s pretty skin,peeling and flaking you get after a burn. Take a cool water bath with fresh edible flowers…drink a glass of water with an edible flower too and enjoy a pretty looking bath too! Hydrate your skin with cocoa butter,shea butter or any skin softening lotion or cream. Cold cucumbers grated and applied in cheesecloth on your face or eye slices are a refreshing and cool skin and eye treat. 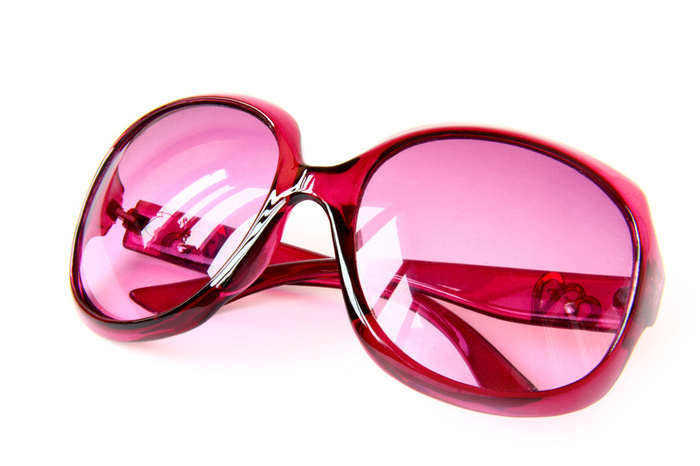 Did you know your eyes can get sunburned too? *Stay away from …salt,nut or sugar scrubs at this time.They are too harsh for your red raw skin. Doctors recommend taking an over the counter pain reliever such as Ibuprophen or Naproxen for pain relief and inflammation. Taking a vitamin E supplement is a good idea too.Helps to heal skin faster too. Coconut water is a way you can hydrate from within.Your skin and body are thirsty and dehydrated from the outdoors and the hot sun. Hope these ideas help you and come to your rescue. I was on TV on a Morning Show again last Saturday and wanted to share with you a recipe from my TV segment. I showed “Beauty rescues for beauty dilemmas”. It is so hot yet people continue to play in the sun and strive for that sun kissed golden glow. But sometimes that fun in the sun turns into a HOT RED MESS sunburn. Your skin is on fire and you need to cool it down. First doctors recommend taking an aspirin to cool your body heat down. If you can’t take aspirin ask your doctor about another form. Next, BEFORE your skin really starts to itch and peel you need to take some inexpensive Aloe Vera gel, CVS DRUG store will work fine. It does not need to be expensive. 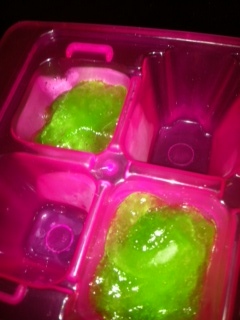 Take an ice cube tray and fill in the empty cube section with ALOE Vera gel. Make sure it’s fresh and NOT last years bottle from your medicine cabinet. Freeze over night or at least a few hours. Pull out tray and check to see if is ready when you are. They freeze in my freezer pretty fast for me. On clean skin apply the Aloe Vera ice cube and rub gently on affected areas. It can be used on the face or entire body down to your toes. This is not only cool but will make your skin feel AMAZING and cool the heat. It will also help stop the chance or limit the time you have peeling, dry or itchy skin from the red sunburn. I love Aloe for that unexpected KITCHEN BURN too and keep a fresh potted plant growing of it near my kitchen door. Clear Aloe Vera gel can also act as a face primer when you have a burn or allergic reaction to something. I have even used it around my eye area. A little dab will do you. This magical plants gel can also be used to help fight acne. Aloe Vera gel is said to be good for insect bites, scalds and to heal blisters from our sky high stilettos! Aloe Vera juice is a great stomach soother and if you have ACID REFLUX it can do wonders for your digestive tract. It also helps people with stomach ulcers, constipation and has detoxifying effects. Buy a plant today and keep healthy the natural way! To see my video clip from TV go to http://www.wjxt.com place my name in the search tool bar.